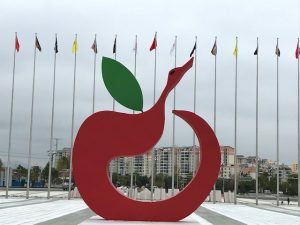 The Potato Conference was held on October 28 and 29, 2018 in Zhaotong, China. Zhaotang has a population of over 6 million inhabitants and is one of the poorest regions in China. In attendance at the conference for the World Potato Congress (WPC) were: President, Romain Cools who made a presentation on WPC’s toolbox as an instrument for small potato communities to set up a successful potato business; Peter VanderZaag, WPC Director and Chairman of WPC’s International Advisors, chaired the two-day conference; and Elven Huang, WPC International Advisor, China and CEO of Yunnan Tumama Technology Company LTD. Mrs. Huang was also one of the organizers of this conference. 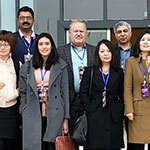 Approximately 250 people from around the world attended the Potato Conference. 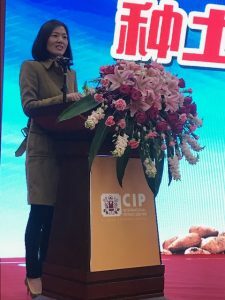 The Chinese government representative opened the conference by stating that the potato is one of the key crops which can help alleviate poverty in this region. 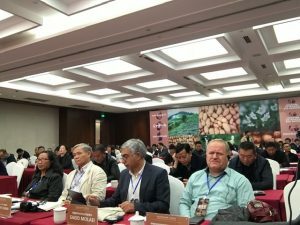 The two-day conference focussed on two key themes: the launch of the campaign “Imagine a world without potatoes” and “Challenges and opportunities for the potato industry in the Asia Pacific region”. 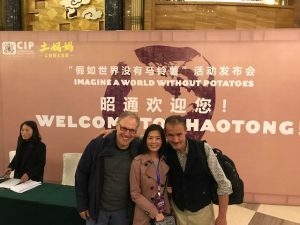 Marc de Beaufort presented the CIP campaign ‘Imagine a World without Potatoes’ and indicated that a number of international potato companies (Pepsico and McCain), as well as a large number of smaller and medium sized companies and assocations have engaged themselves to join this campaign. He also made reference to the launch of this campaign during the 10th World Potato Congress in Cusco, Peru in May 2018. This has led to great participation in Peru, home of the potato, and has given empetus for showcasing potatoes as Peru celebrates its 150th anniversary as a country in 2019. The kickoff of the campaign at Belgium’s Interpom Primeurs in Kortrijk in November will also result in the engagement of European companies active in the potato chain. 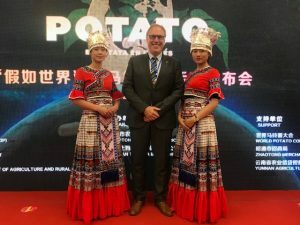 Conference Chairman, Peter VanderZaag spoke about the opportunities and strategies for the Yunnan highlands to grow quality seed potatoes for Asia. He stressed the Zhaotong region will only be competitive if they meet the high European standards. As Zhaotang is situated 2000 meters above sea level, its cool mountain climate lends itself well for the production of quality seed potatoes. As past Secretary General of the European Potato Associations and represening Belgapom, Romain Cools gave an extensive overview of the seed production and exports from Europe. 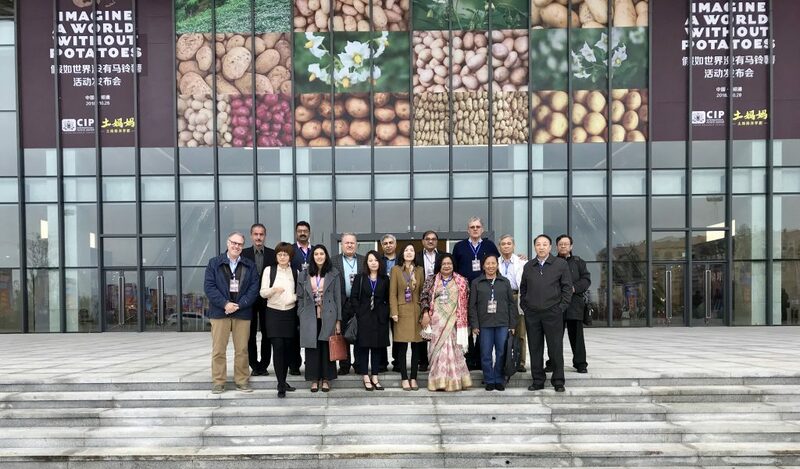 He also illustrated the opportunities and challenges for the Zhaotang region to become active in seed potatoes. As well, he stressed the legal requirement in Europe to reduce the use of pesticides and the need for new breeding techniques to achieve disease resistant varieties. 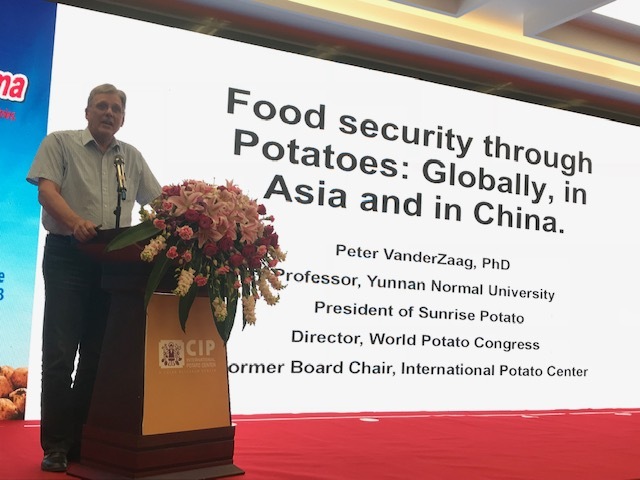 In his closing summary, Chair Peter VanderZaag told the audience to take home the message of the event: The world with potatoes is a better world!